The first Meeting of Mechanism for Facilitation on the Implementation of China-Nepal Cooperation Programmes and Projects in Nepal was held in the Ministry of Foreign Affairs in Kathmandu today. 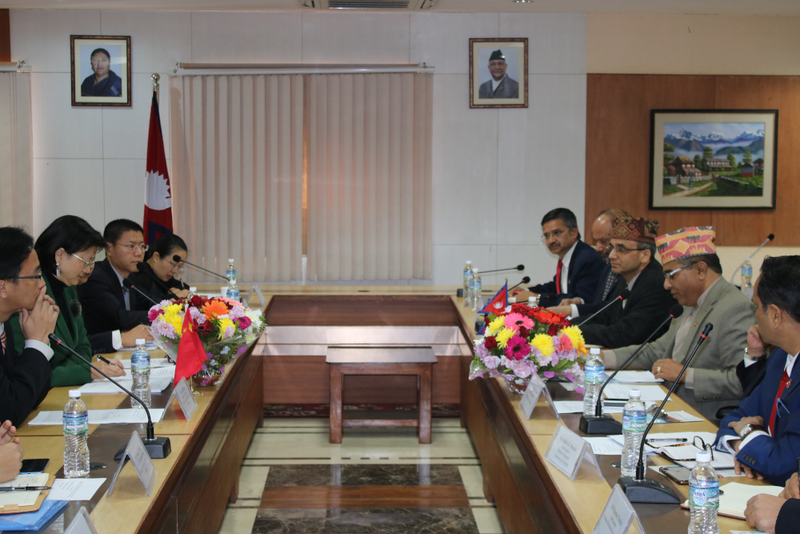 The Meeting was co-chaired by Foreign Secretary, Mr. Shanker Das Bairagi, from the Nepali side and Ambassador of the People’s Republic of China to Nepal, H.E.Ms. Yu Hong from the Chinese side. 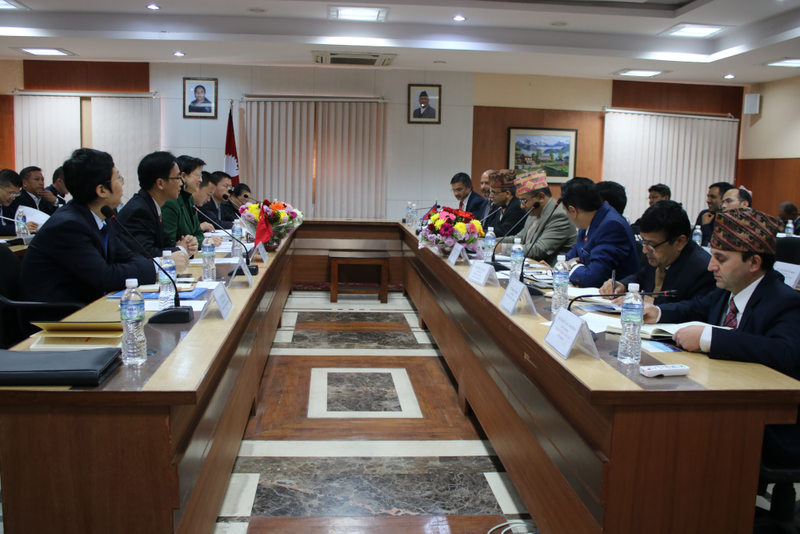 The Nepali side in the Meeting comprised of senior officials of the Ministries and relevant agencies responsible for implementation of the Nepal-China programmes and projects while the Chinese side included senior officials of the Embassy of China and project implementing agencies. Today’s Meeting made a comprehensive review of the progress made in programmes and projects related to reconstruction, infrastructure, energy and airport, among others. The two sides agreed to take appropriate measures to ensure smooth and timely implementation of the programmes and projects through joint efforts. In their respective opening remarks, leaders of the both sides expressed happiness over convening of the first Meeting of the Mechanism and emphasized on the timely completion of all bilateral economic and development cooperation projects.